Myself and Adam got in another game of SAGA yesterday. It was the first for both of us in about 6 weeks. Adam and his wife Arianna had a beautiful baby girl Evelyn about a month ago which has put a slow down on Adam's gaming as one would expect. 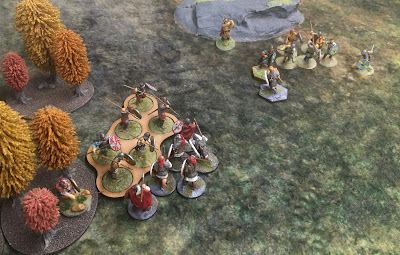 We both fielded new Warbands yesterday which was fun and despite having two completely new Battleboards to assimilate we were able to get through a game in 2 1/2 hours. Adam decided to play the Irish and I opted for the Romans. 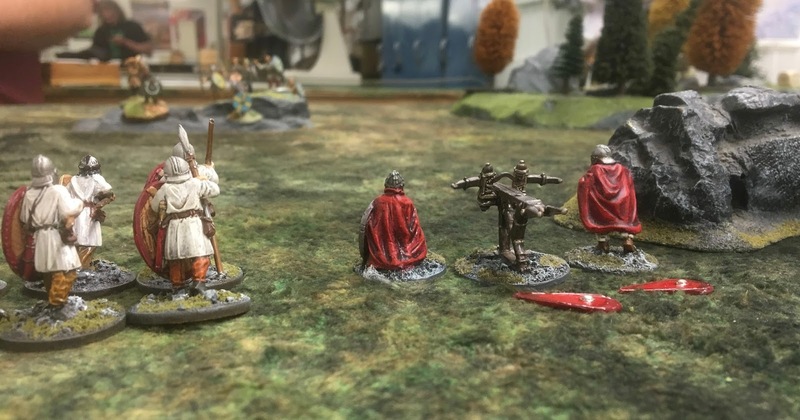 I had painted a Manuballista and I was keen to give it a go. 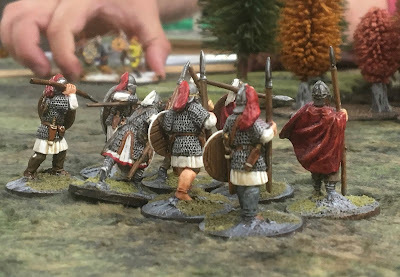 I will leave it to Adam to put out a Battle Report, but I thought I would post a few photos. 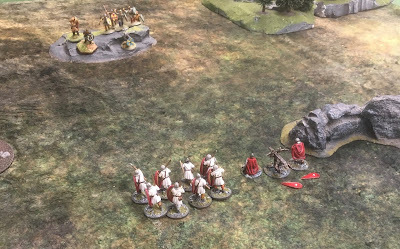 The Irish mounted Hearthguard attempted to run down a unit of Bow armed unit of Roman Warriors, this was the only melee of the game which ended in a result for me. 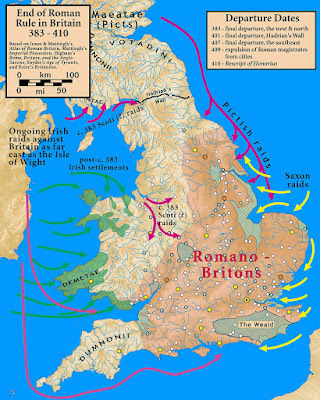 Roman Advance was a little tenuous, I was a little unsure of of the Roman offensive abilities. 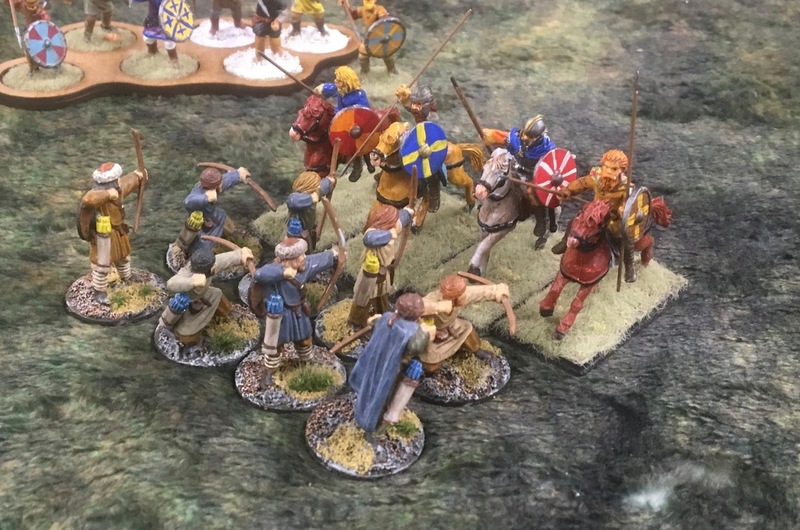 The climatic end of the battle with the Roman Hearthguard attacking the Irish elite while Warlord's Pride forces the Roman Warlord to attack the Irish King. 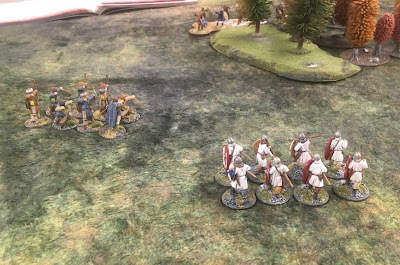 It did not come out well for the Romans due to my fumbling my BB abilities and very poor dicing. 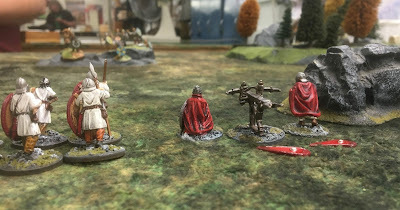 Game end........a poor outcome for the Romans but a fun game. The Aetius and Arthur supplement has really added another dimension to the game with 6 new factions and updates to adjust the the earlier Battleboards to the 5th and 6th century. Cool! 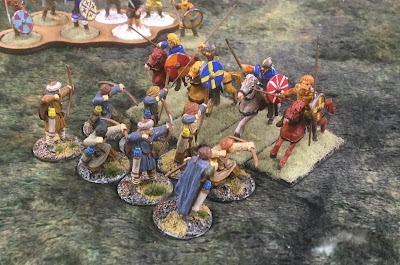 Can't wait to try the "Crescent and Cross" for SAGA...I'm sawing away with the brushes at my warbands so I can get them on the table. Well if we are lucky and meet up in Montreal we can have a game. 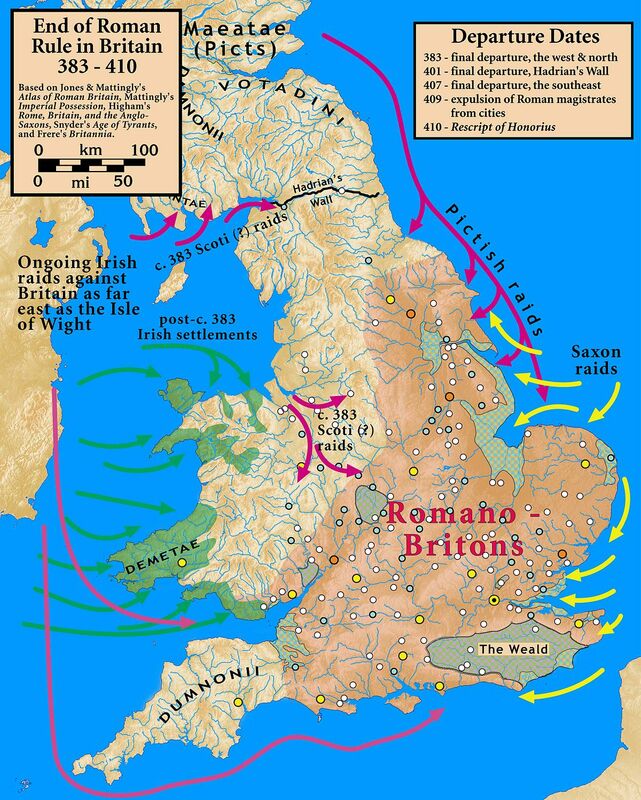 I can field some Moors. So we can only hope Adam! Nice looking battle, great period, I'm just starting late Roman /Arthur so this is a useful post for me!